Pancho started his own company with the vision of innovating, training globally minded professionals, adopting a business perspective toward advertising and, most importantly, providing a great place to work. Three years ago he and his partner started Inbrax Chile in a small office with an intern as Art Director. Today, that intern is Creative Director and the business employs 25 people, has a corporate office, and serves major clients. 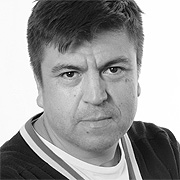 Pancho has received numerous awards throughout his career, was ranked as one of the global top ten creative directors for the Australian publication bestadsontv (2009, 2010 & 2011) and was placed in the top 3 of copywriters of Chile in Luerzer's Archive (2012). Pancho has more than eighteen years in the advertising industry, working as a Creative Director for agencies in Chile, such as Ogilvy & Mather, FCB, Ammirati Puris Lintas, Y&R Network, BBDO, and RNL. He has been jury at major advertising festivals including Cannes and more than 30 festivals local and worldwide. He is also Director of the Chilean Creative Circle, where he uses his leadership position to promote creativity in his country. He has also taught numerous classes on creativity and advertising.